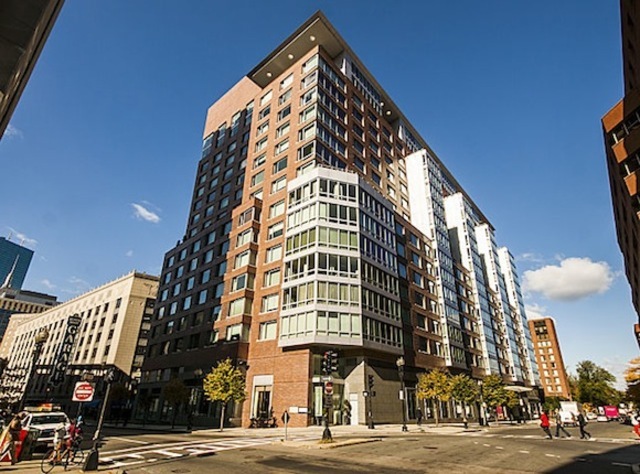 One Charles is centrally located between Back Bay and Downtown Crossing, across the Boston Common and Public Garden. Built in 2004, the luxury building was developed by Millennium Partners and designed by Handel Architects. The 231 condos within the building range from studios to 3 bedrooms. The modern design of condos at One Charles includes floor-to-ceiling windows that offer views of either the city skyline of the Boston Common. Depending on the unit, you may have access to a private terrace and outdoor space. Top-of-the-line kitchens are outfitted with Poggenpohl cabinets, Viking stoves and ovens, SubZero fridges, and Miele dishwashers. However, with in-home dining and catering service from Avila, you may never have to cook. Spa-like bathrooms are completed with marble vanities and accents. Full services and lounges within the building give additional space to entertain guests. The private club room, for example, provides a leisurely place to spend time with friends and family. The function room and kitchen provide a larger space that you can use for special events. For a quiet space to read or to work, the library and boardroom are always available. To relax and unwind, you can access the sauna and fitness center that is open to all residences. Given the convenient location, many of the city’s high-end shops and restaurants are within walking distance. You can also easily access your car in the underground garage.